Chick Strand (1931-2009) courted her films as a nurturer and lover. She worked intuitively, trusting her attraction to the sensuality of people, landscapes, and gestures. 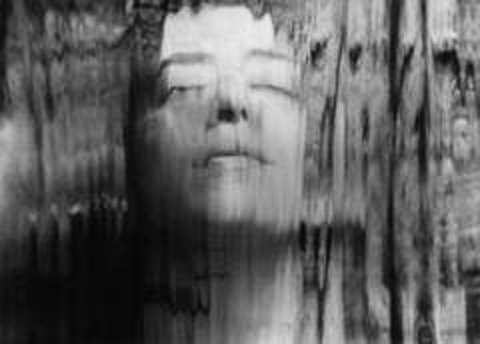 Influenced by west coast experimental filmmakers of the 1960s and 70s and her own education in anthropology and ethnography, Strand immersed her filmmaking in the joy of being with people. For 30 years, she made films about the people and landscapes of California and Mexico. “To leave out the spirit of the people presents a thin tapestry of the culture, easy to rent, lacking in strength and depth. I want to know really what it is like to be a breathing, talking, moving, emotional, relating individual in the society.” Strand also strove for intimacy with her camera, keeping it close to her body and trusting her own weight and motion to persuade its gaze. Her physical intimacy with her subjects is evidenced in the dominance of close-ups. The resulting shallow depth of field creates kinetic compositions of horizons flattened against sun-stroked faces and cropped bodies in motion. Her appreciation of synchronicity, intuition and romance is also evident in her found-footage collages. “If poetry is the art of making evocative connections between otherwise dissimilar phenomena, then Chick Strand is a great poet, for these films transcend their material to create a surreal and sublime universe beyond reason” (Gene Youngblood). Angel Blue Sweet Wings. 1966, 16mm, 3mins. Artificial Paradise. 1986, 16mm, 13mins. By the Lake. 1986, 16mm, 10mins. Cartoon Le Mousse. 1979, 16mm, 15mins. Coming Up For Air. 1986, 16mm, 27mins. Mujer De Milfuegos. 1976, 16mm, 15mins.